Oh, how I wanted to love this one, for innovation alone. 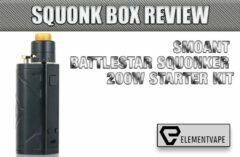 Just like the Revenant Delta (review here) squonk mod we reviewed late last year, the Battlestar Squonker is a high-wattage, high-concept squonk mod with a new way to move e-liquid from bottle to coil. And in a certain sense, it’s a better device, because it takes the pump action squonking to new heights. But it’s still not quite ready for prime time. 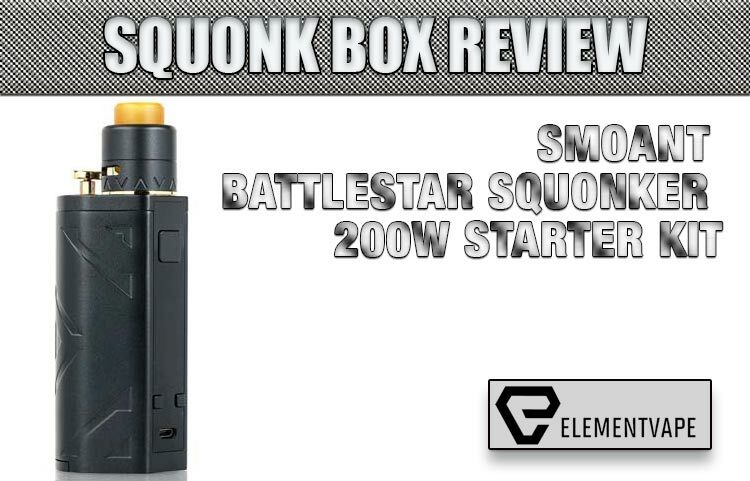 Don’t get me wrong – I like the Battlestar Squonker, just like I’ve enjoyed all the Battlestar devices over the years. But this squonk mod might be a little too ambitious for its own good. 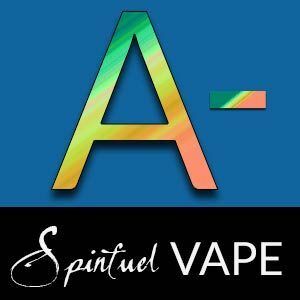 Let’s see what Smoant’s (abbreviated) official language has to say about its latest bottom-feed (BF) vape mod. The Smoant Battlestar Squonker 200W Starter Kit is an innovative vape kit, featuring an integrated 7.0mL silicone squonk bottle, a slew of safety protections, and is paired with a squonk RDA to allow the best synergy between box mod and atomizer. Powered by a pair of high-amp 18650 batteries (sold separately) accessible via the bottom hinged battery door, the Battlestar Squonker has a range of 1 to 200 watts and can reach resistances as low as 0.05ohms while relaying the information on the 0.96″ OLED Display Screen. The Smoant Battlestar Squonker Box Mod is paired with the Battlestar Squonker RDA, a 24mm dual coil rebuildable atomizer that features a dual coil configuration anchored to four open terminals arranged on two posts, both top secured via flathead screws. A dual slotted top cap is held in place by a pair of silicone O-rings, venting the airflow from the side directly to the internal coil configurations. My bright, gaudy test model had more yellow than R. Kelly at a Stryper concert. (If you don’t get that reference, you’re too young.) 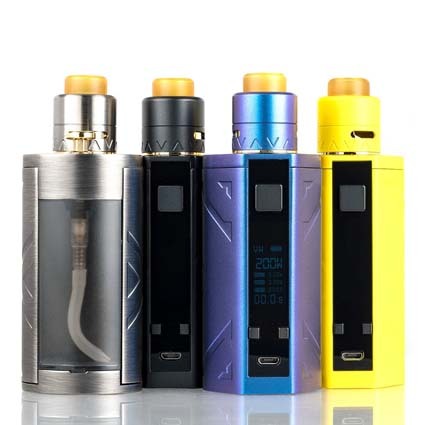 Bad jokes aside, the color choices Smoant offers for the Battlestar Squonker are pretty bold, considering the core shape and frame are built on the timeless “Wismec Hexagon” shape, which is hardly new and bold in 2019. The overall construction is absurdly solid, capable of handling its share of drops and dings without a whimper. The paint job seems baked on, rather than just spray coated at the final stages of production, leading to a more professional feel overall. And the alloy buttons (along with the brass-like squonk button) are all extremely smooth and well-machined. Smoant has been making top-tier vape products for a while, and the dual-18650 Battlestar Squonker is no exception. But what’s important is that the Battlestar Squonker design works. It’s not too large, sits comfortably in the crook of the hand, and has a comfortable reach for all the adjustment and operation buttons throughout the device. 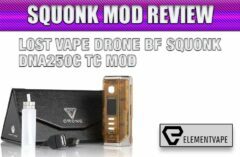 Not only was I able to squonk effectively in just minutes, thanks to a proven layout and intuitive menu system that allows for easy access to all the mod’s extensive options. The display isn’t the most modern, sophisticated display we’ve seen, but it does the job. And when your vape mod is this gaudy-looking already, maybe less really is more in this case. The 0.96-inch display conveys the right amount of information, and the linear menu trees are easy enough to navigate without much difficulty. My only (mild) concerns are two-fold – first, the exterior construction is that the squonk button is a little TOO pronounced for my liking. Yes, it leads to more e-liquid delivery with fewer squonks, but it also caught on my pockets several times, and doesn’t make for the most attractive exterior (especially when surrounded by bright yellow hues. Secondly, the squonk bottles included with the kit are proprietary to the Battlestar Squonker. These are not compatible with any other devices, nor will your preferred bottles work here. I get that they were going for a unique approach to squonking, but the lack of versatility is concerning all the same. What can we say – the Battlestar RDA is a 24mm, two-post, dual-coil design we’ve seen 1,000 times before. 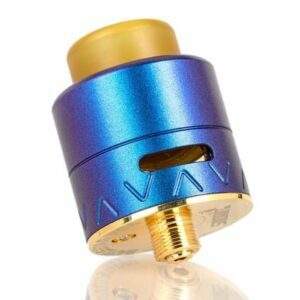 Though it has a nice brass-like finish, there’s nothing remarkable here, but it works well and delivers strong flavor, like most any RDA will if built correctly. I enjoyed the simple build deck and decent room for coil placement, but at this point in the game, I think we’re past the need to be “creative” with our builds. Just set them up and let ‘em rip, I say. One item of note with the Battlestar RDA is how much airflow there is. While it wasn’t the worst I’ve used in this department, I noticed that some of my strongest e-liquids weren’t delivering their flavor to full effect, likely because of the windstorm going on beneath the top cap. I recommend moving to a different BF RDA, but I’ll leave that to preference. Long story short? 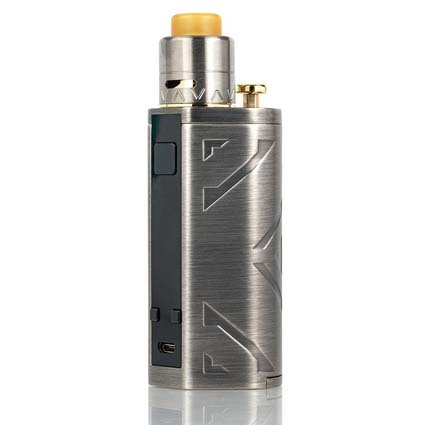 Enjoy the Battlestar RDA as part of the kit, but don’t seek it out on its own. Well, we can’t discuss the Battlestar Squonker without mentioning the tall, brass elephant in the room, the squonk button that sits atop the device. 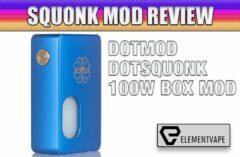 It’s tall, commanding and kinda draws even more attention to the mod than the color scheme, but that form factor has a purpose – smoother, less rigorous squonking. If you remember the Revenant Delta review, you might recall I struggled to get that button to produce much liquid delivery to the coils, no matter how aggressively I pressed. Here, the button delivers slower, more deliberate, but substantial juice flow to the deck, requiring very little effort. In fact, it might be TOO effective, since the different vacuum system means liquid doesn’t retract back into the bottle when you stop pumping. I over-squonked on several occasions, leading to some messy situations with the included Battlestar RDA. You’ll get used to it, but it’s nice knowing you’re not going to develop carpal tunnel syndrome just to get adequate juice flow to the coil. This system might still not be as simple as manually pressing the bottle itself, but it seems like we’re getting much closer to achieving a fully contained squonk device. Other than that, all of the Battlestar Squonker’s menus, operations and functionalities are up to the company’s usual code of quality. That is, to say, quite good. Temperature control modes all deliver precise, accurate adjustments using the onscreen prompts, while the straight wattage mode is smooth, fast-ramping and appropriately powered. Battery life, as you might expect, isn’t the best. But it’s also not bad, when compared to similar dual-18650 squonk mods. Always have extra cells on hand, but with light to moderate use, a pair of freshly charged batteries should get you through most of a workday. 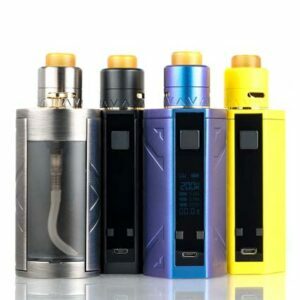 Squonk mods have long needed a dose of innovation and unique design, and in that sense, Smoant delivers that with the Battlestar Squonker. It’s not quite a fully baked idea, but there’s a sense that we’re getting closer to a more mature, intact squonk mod design in the very near future. If you need/want something different from your bottom-feed vaping, give the Battlestar Squonker a good test run. It might be the innovation you’ve been seeking.